Everyone has a comment on the increasing popularity of homeschooling. When I talk to people about homeschooling, they frequently mention the availability of “so much curriculum these days,” as if that is the single most important factor in being able to homeschool. Non-homeschoolers, prospective homeschoolers, and new homeschoolers seem surprised that many homeschoolers use learning materials that are not, strictly speaking, part of a homeschool curriculum. Why do people use other learning resources instead of curriculum? To follow a child’s interest or passion. The right resources can light a fire of engagement for a child. Rather than dealing only with facts and information he or she is supposed to learn, the child experiences the thrill of learning about something that meets an immediate desire to know. 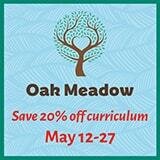 This is a powerful experience, enhancing the “learning to learn” goal of many homeschooling families. To compensate for asynchronous development. While some curricula do allow parents to “mix and match” grade levels, many packaged curricula are for a complete “grade.” Using other materials instead of just a curriculum allows parents to meet the needs of a child who may be learning at different grade levels in different subjects. Supplementing with other books and materials can address a child’s strengths and weaknesses. To build content during skills lags. As I have blogged earlier, using other resources can help a child who is lagging in reading and writing skills but who has plenty of ability to learn in content areas such as social studies, science, and the arts. Many times, a curriculum that depends on early competency in reading and writing will really block kids from learning other subjects. But parents can use a lot of non-curriculum resources for kids who aren’t yet proficient readers and writers. To match a child’s learning style. Kids have different learning styles, and many curriculum providers do not take specific learning styles into account as they design their materials. But homeschooling parents can choose resources that meet their children’s needs, whether they are visual, auditory, or kinesthetic learners — and whether they tend to be more “right brain” or “left brain” learners. To address the needs of gifted and learning disabled kids. Beyond just having different learning styles, gifted and learning disabled kids have special needs that are often not met by typical curriculum. However, a rich life of learning can be created for and with these kids if parents are willing to use non-curricular resources. 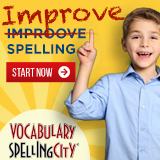 To follow a specific homeschooling approach. While some homeschoolers do use curriculum, there are also other approaches to homeschooling, and many of them are not curriculum dependent. For example, those following the Charlotte Mason approach will use “living books” and nature study. Unschoolers may use resources that fit their current interests — including books, videos, field trips, and hands-on projects. Classical homeschoolers use books and materials that fit their progression through the Grammar stage, Logic stage, and Rhetoric stage of learning. Those using unit studies will find resources that help their kids learn about a specific topic — for example, books, websites, and videos about volcanoes or pirates or the solar system. 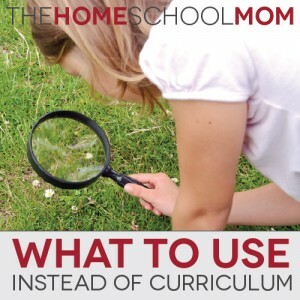 Yes, there can be curriculum used with any of these approaches as well, but homeschoolers often find effective learning tools that fit their approach to homeschooling outside of commercially prepared curricula. In fact, this often results in an approach called eclectic homeschooling — a mish mash of doing what works by mixing curricular and non-curricular resources. To save money. Some complete curricula are expensive. But a library card, yard sale shopping, and the Internet can give you and your kids access to rich learning resources for a fraction of the cost. To provide greater depth. Many homeschoolers use non-curricular materials when they or their kids want to go in greater depth on a subject. Reading a great historical fiction novel or exploring nature at just the right times can provide more depth and understanding. Instead of just being dependent on a curriculum alone, parents help their kids gain greater understanding through supplementary reading and experiences. To encourage kids to make connections through rabbit trailing. Homeschool mom, author, and blogger Melissa Wiley explains the value of encouraging kids to make connections. Using a variety of non-curricular resources that lead one to another, kids can create a breadth of knowledge and an understanding of how things are inter-related. In addition to creating rich knowledge, this also encourages development of critical thinking. To lay the groundwork of research skills. The rabbit trailing described above is also a friendly entrance to academic research, something that is often covered cursorily if at all in some high schools, but which will be required of students in many college classes. College students quickly discover that they are not allowed to write papers using information only from their textbooks. Students who are comfortable using resources other than curriculum understand that there are many resources they can use to do research for academic papers and projects. My homeschooled sons who have graduated have been quite comfortable reaching for books, films, and non-curricular resources to weave them into their college studies. To share something a parent loves. By the time parents are homeschooling their kids, they have fond memories and great wisdom about books and resources they were attracted to as young learners. Sharing these wonderful books and materials instead of sticking to curriculum is a wonderful way to create engagement and add to the relationship. Many parents share current favorites with their kids, demonstrating that learning is ongoing and lifelong — it doesn’t stop just because the “curriculum” runs out at twelfth grade. What do people use instead of curriculum? Melissa Wiley also has a lovely lists of specifics — “Things to Buy Instead of Curriculum” at her blog Here in the Bonny Glen. Most experienced homeschool moms have their own favorite resources “instead of curriculum,” too, so ask for suggestions, or make it a topic for your next homeschool group meeting. You’ll also find occasional posts here at TheHomeSchoolMom on helpful learning resources we’ve used and loved — instead of curriculum. And just to add a little complexity to the discussion — if you are using a “non-curricular resource” in your homeschooling — it is, strictly speaking, part of your curriculum. It’s just that it didn’t come labeled or packaged that way. However, once you use it, it is part of your “program of learning” — even if it was not prescribed by someone else as part of a formal curriculum. What are your favorite non-curricular learning resources? Yes yes yes! Books and Audiobooks (www.highschoolreadinglist.com has great suggestions) and museum memberships are our favorite non curriculum ways to learn. Additionally, National Parks are an incredible way to learn about science… getting outside, going to Ranger talks, and experiencing nature in person is the best way to get a kid excited to learn about astronomy, geology, and more! Nic you have some more great ideas. Thanks for making your suggestion. It’s funny that you added the link for high school reading list because just yesterday I was looking for this resource and couldn’t quite remember what it was. Thanks! Hey Cynthia — nope! No one can tell you how to ENROLL your child in a home school such as this. If you homeschool your child, you put together your OWN program such as this. You do online research and you network with people in person and you visit the library and you go to homeschool meetings in order to get ideas for field trips, good books, and documentaries, along with the other resources that are suggested in the article. You don’t ENROLL your child in “a homeschool” — that would be a school. In homeschooling, you figure out what to do with your child and you DO these things with him or her, with home and family as your base. That’s homeschooling. Homeschooling has some cooperative aspects where there are co-ops, learning centers, online groups, and even some complete “packages” that can serve as curriculum or private school enrollment, but homeschooling this way is a do-it-yourself prospect where you choose the things to do and you make it possible for your child to do them. I hope this helps. Feel free to ask clarifying questions. (I wrote the original article). can you tell me how to enroll my child in home school such as this?